Expect everything from Afrobeat, Funk, Jazz, Rock, Hip-Hop, Soul and Dub, and heavy dance-floor Afro funk. 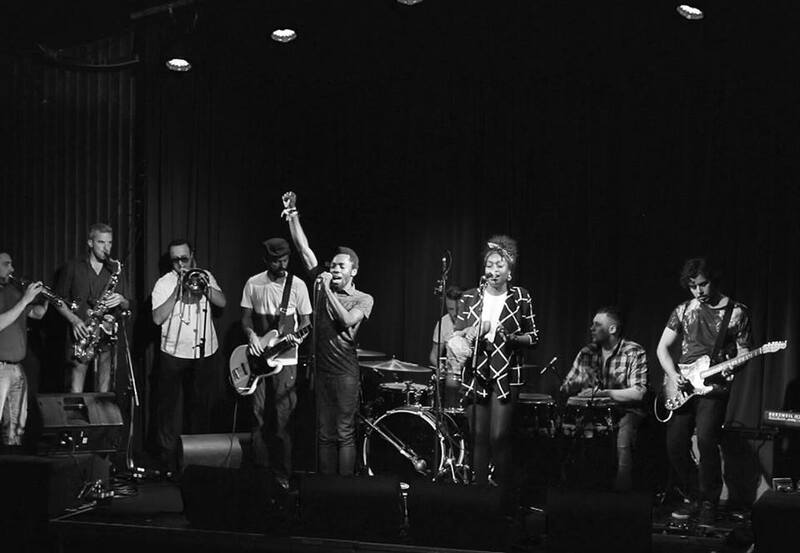 The group is a derivation of the formerly known “Dublin Afrobeat Ensemble”, whose members have spent the last three years playing original songs at numerous concert venues and festivals in Ireland. Ajo Arkestra have preformed beside bands such as Tony Allen, Hypnotic Brass Ensemble, Hot 8 Brass Band, Ibibio Sound Machine, Eddie Piller (Acid Jazz Records), to name but a few. Music festivals in Ireland like Body and Soul, Electric Picnic, Life Festival, Mela Festival Belfast, Cork Jazz Festival and countless live venues such as the Button Factory and the Grand Social in Dublin, the Black Box in Belfast and The Pavilion in Cork have felt the impact of the band’s energetic infectious grooves .